In this week’s roundup of creative goodness, we have a collection of fab Illustrator tutorials; a showcase of a popular logo design trend; a roundup of inspiring ambigram logos; links to some great character design tutorials; and a tutorial documenting the process of creating an awesome visual illusion. Looking to learn Illustrator? 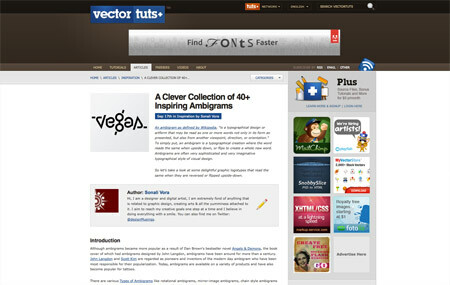 Noupe hosts this extensive collection of 55 Adobe Illustrator Icon Design Tutorials. The illusion of a folded edge has become a popular trend in logo design. 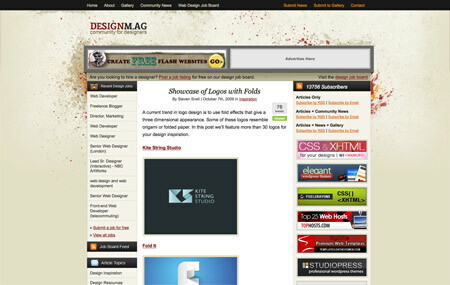 Check out this showcase of excellent examples from Designm.ag. Ambigrams are graphics that can be read in multiple orientations. Vectortuts presents this awesome collection of clever ambigram logo examples. Everyone loves cartoon characters! 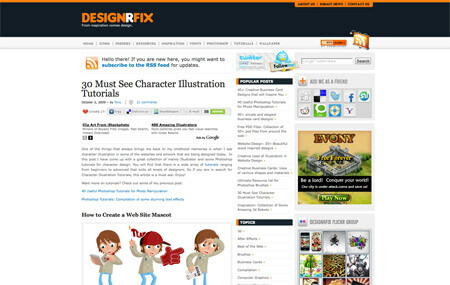 Designrfix posts this wide variation of must see character illustration tutorials. 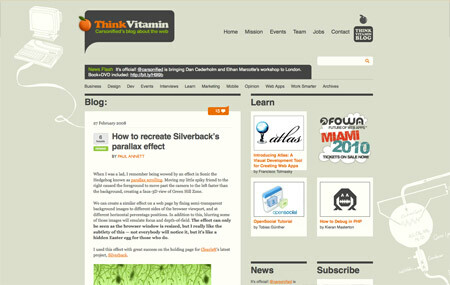 The parallax scrolling effect on the Silverback website has wowed many viewers, find out how to create your own on the Think Vitamin blog. you’re really choosy in favorite blogs and designing stuff. Some really useful stuff, thank you!! Great list. Always inspiring to look at what’s going on in the community. 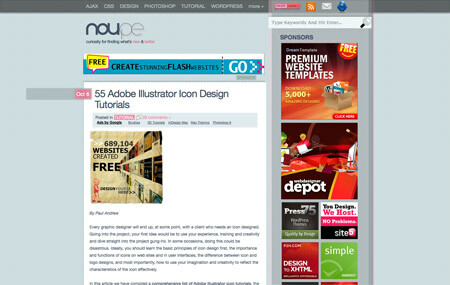 I just discovered Noupe earlier this week actually! They’ve got a lot of really cool tutorials on there that I’m just waiting to go through. Definitely gonna check out the rest of this list too. how do you find the time to pull these great articles together? Do you ever sleep? I have been following your blog for quite some time and I’m always looking forward for new updates, tutorials and Freebies! Great article. Can I put you on my link of favourite bloggers? Another great round up. So much can be learned from perusing the web and this makes it tons more efficient.